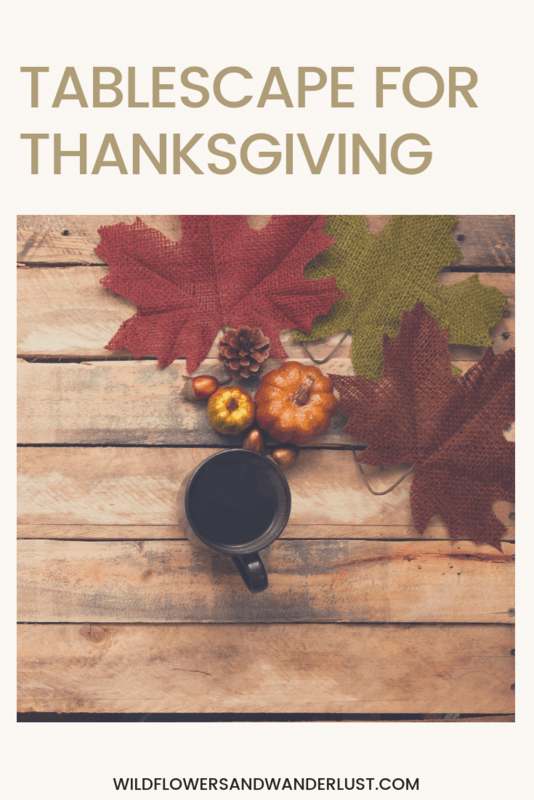 Are you hosting family or friends for Thanksgiving this year? If you’re like us and enjoy switching up your holiday tables (and have procrastinated until the week before to think about this!) 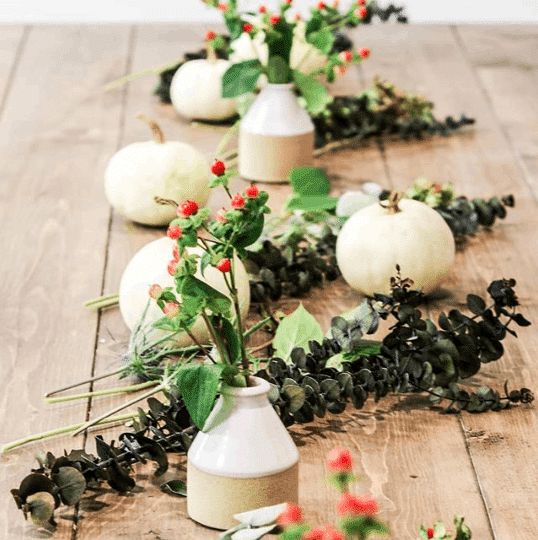 here are a dozen ideas to inspire you to get your tablescape for Thanksgiving started today! 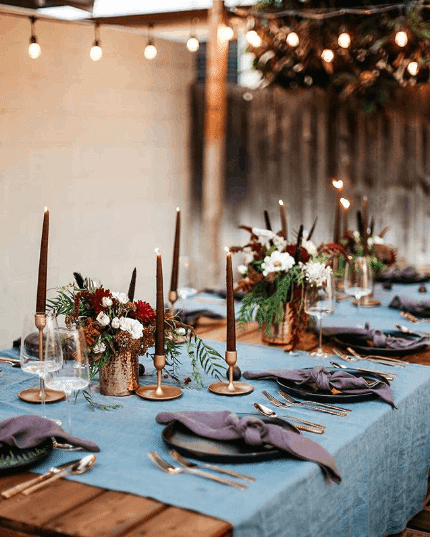 We recommend starting your table planning now (if you haven’t already) so you can add and adjust as needed until the big day! 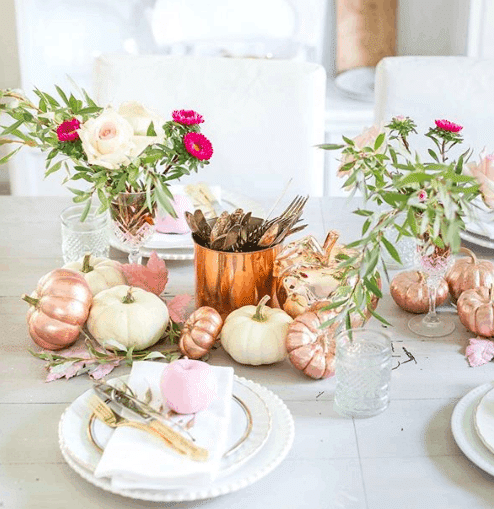 Here are some tips and inspiration to help you create your tablescape for Thanksgiving today. Can you add some blankets or lights to create a cozier space? How about candles? Is it possible to declutter around your table and free up some walking room? Do you have some music to play as your guests arrive? 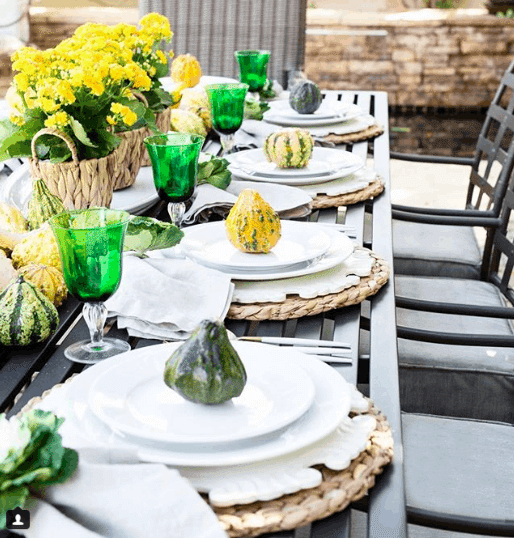 Any of these ideas are a great way to ensure a warm and happy hosting spot! Thanksgiving is a perfect time to be grateful for all of the lovely things you already have. Walk around your house and consider your decor. Maybe you have a beautiful lantern, bowl or something creative for a centerpiece already! 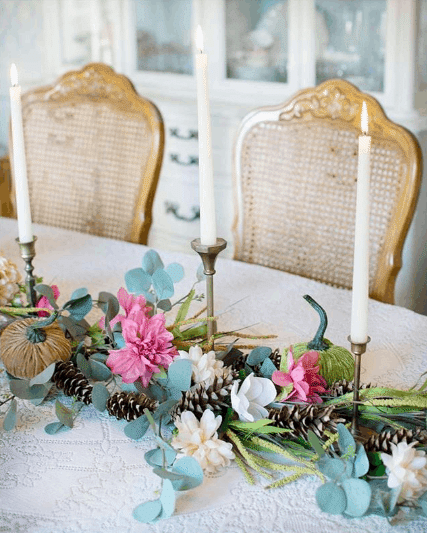 This centerpiece below is made from all dried flowers and will last many seasons! 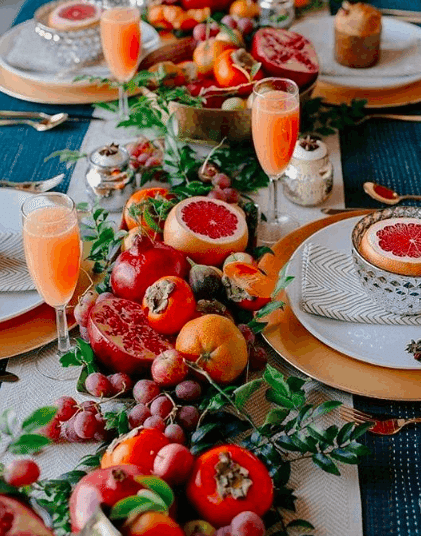 If you don’t have decor that is calling to you, take inspiration from this lovely Thanksgiving brunch tablescape. 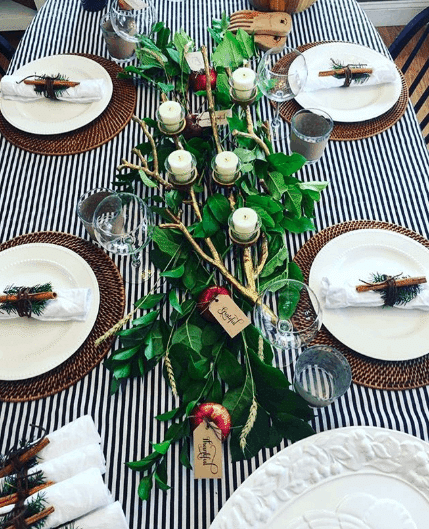 They used their food as the centerpiece and not only is it beautiful but it’s functional. 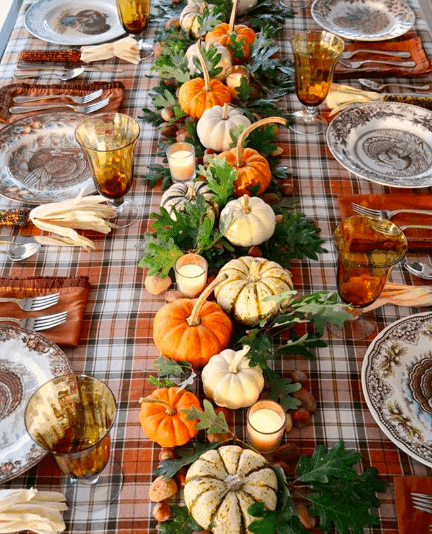 If you have classic fall colors, Turkey plates, leftover Halloween pumpkins, fall leaves or anything else that shout’s ‘Gobble Gobble’ include it! It’s great to have traditional items that make it to the table every time you host this meal. It’s also a nice break from all the Christmas decor that seems to appear earlier and earlier every year! You’re going to be filling this table with tons of fantastic food anyway, so if you know it will be crowded, choose simple! 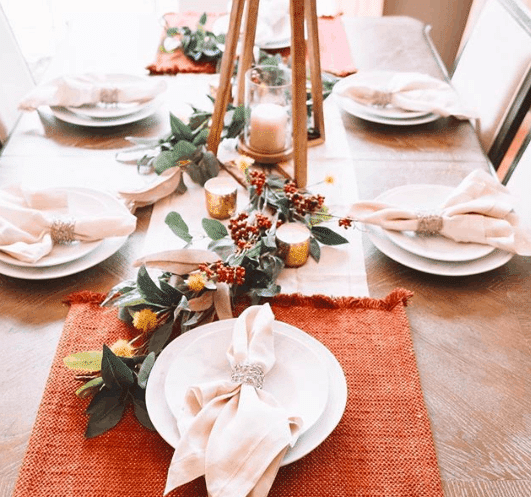 We’ve seen everything from fun fall candies, mixed squash, a tiny pumpkin, or even a sweet thank you note to each of the guests for joining the holiday meal. 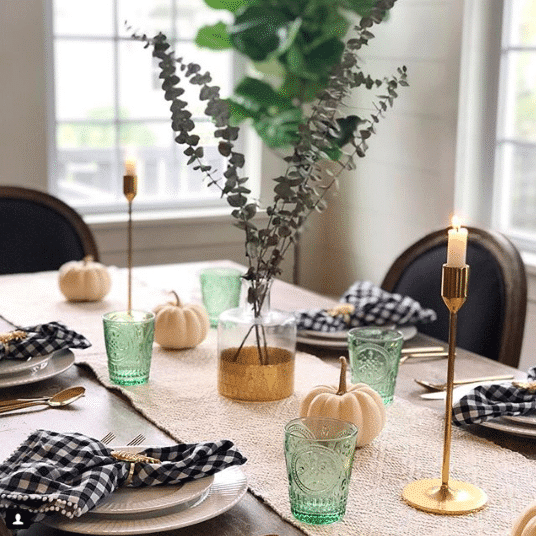 Not only do they make a pretty table setting, but your guests can take home a sweet memory of their time spent with you. This white and gold tablescape is stunning! Neutrals can make just as big of a statement as bright pops of color, so go with a neutral if that’s what you have on hand. 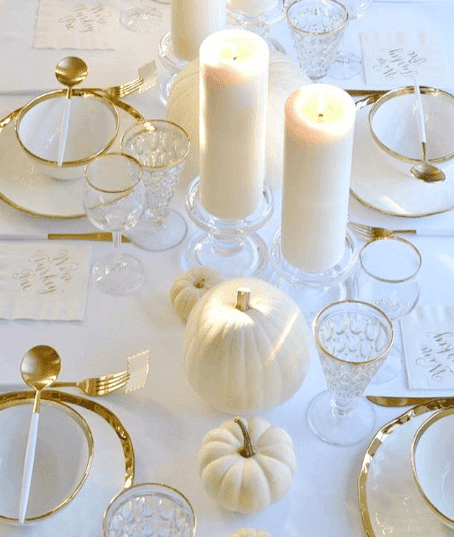 A few touches of gold or silver add an elegant contrast to an all white table. Bonus points if you choose greenery that keeps your table smelling delightful all the way until you start filling it with delicious dishes! Our favorite is fresh rosemary from the huge bush outside, but lavender, sage, juniper, and eucalyptus will work wonderfully, and look beautiful. This is our ultimate suggestion because we are all about getting creative! These bronze painted pumpkins are lovely and would be a quick project this weekend. Don’t they look gorgeous? Cloth napkins add a classy finish to a beautiful tablescape and if you don’t have napkin rings, choose twine, ribbon or get crafty! Napkin rings can also be a great kid project so that they can contribute to the table. You’re the hostess here! Don’t be afraid to show off your personal style whether it’s including your favorite tablecloth, color, or floral. Try thinking outside of the box and use a special throw or scarf instead of your usual tablecloth. 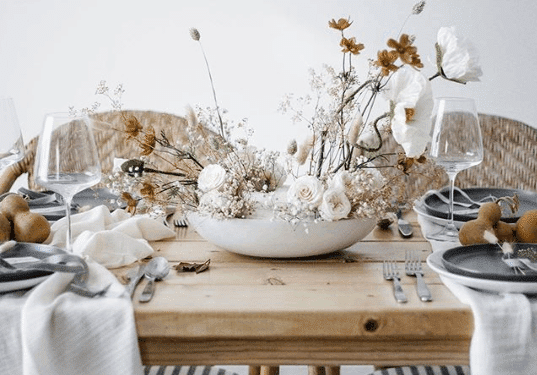 Are any of these ideas inspiring for your tablescape? We are considering our succulent pumpkins as an option for decor this year! Make your own with our instructions here. 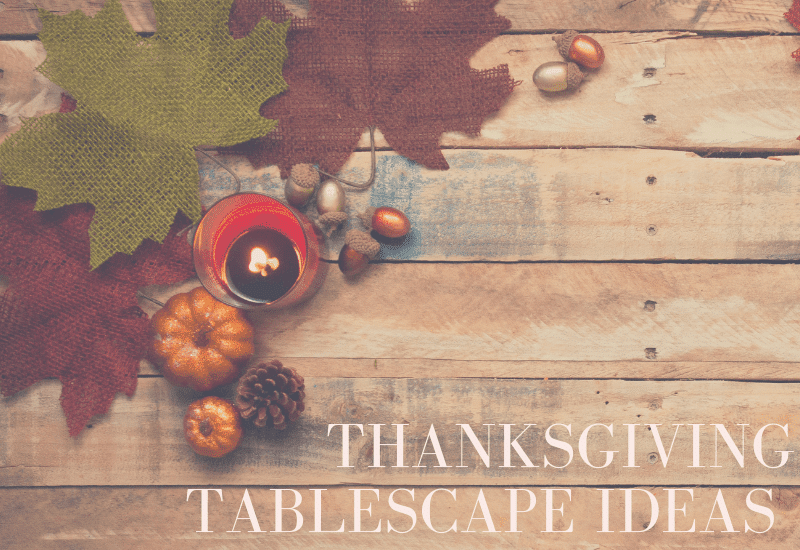 We would love to hear your thoughts and see your Thanksgiving tables in the comments below!